Your lawn is usually the first thing your guests see and let’s be honest, men judge other men based on their lawn. Don’t be “that guy.” Give us a call and we will make sure your lawn is the neighborhood envy. 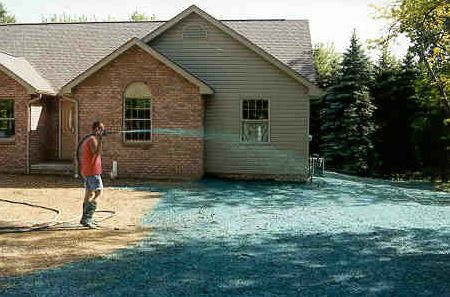 Here at South Carolina Hydroseeding, we pride ourselves on making your neighbors jealous. We are the answer for all of your hydroseeding needs. 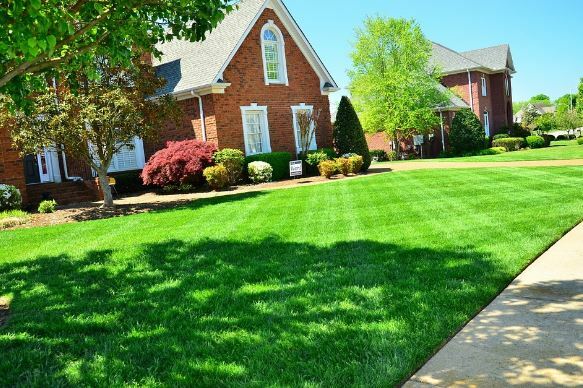 We will be there throughout the entire process from selecting the proper grass type and preparing your yard to receive the hydroseed, to teaching you proper maintenance and keys to having the perfect lawn for a lifetime. At the end of the day, proper maintenance is the most important thing to growing and maintaining an amazing lawn. The liquid seeding “season” typically begins in the Spring, around March, and ends in the Fall, around October. The climate and seed type can alter the growing window slightly, so it is important to start the conversation early to ensure you get the lawn of your dreams. We believe it is the “goldilocks” of the lawn growing options. It’s not too expensive, but it also has a reasonably high chance of taking. Sod is extremely expensive, but it is reasonably assured that it will take root. Hand sowing seeds is the cheapest option, however, the take rate is pretty low comparatively speaking. Hydro seeding is the “just right” choice. It is significantly cheaper than sod and has a much greater take rate than hand sowing seeds. It is perfect for anyone wanting to have an amazing lawn and that realizes there will be some effort needed to properly maintain the lawn. Whether you are building a home and it’s time to add the finishing touches with a perfect lawn, or your lawn has seen its better days and you are looking to start fresh, spray seeding is for you. Call today to see are entire list of grass types that are suitable for your location. We service the entire state of South Carolina from Charleston to Greenville, and Myrtle Beach to Augusta. We do it all and we do it everywhere. Give us a call today and let’s start growing your perfect lawn. Do You Have Any Hydroseeding Questions? Feel free to give us a call if you have any questions regarding hydroseeding. We are more than happy to help answer those questions, even if you don’t buy from us.